New Delhi, October 16: Yale University and Ashoka University announced an expansion of their ongoing collaboration today. During his visit to India this week, Yale University President Peter Salovey signed a Memorandum of Understanding (MoU) with Ashoka University Vice Chancellor Rudrangshu Mukherjee that reaffirms the long-standing collaboration between Yale and Ashoka and establishes a framework to jointly develop opportunities through faculty-initiated and faculty-directed teaching and research activities. 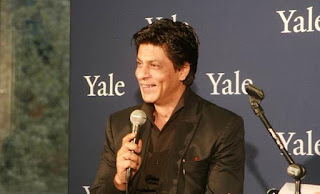 Yale University is among the world’s pre-eminent educational and cultural institutions and an innovator in liberal arts education; Ashoka University is rapidly emerging as India’s premier international-caliber university focused on multidisciplinary liberal education, which transcends the boundaries between the arts and sciences. The announcement acknowledges a relationship between the universities built over the past five years grounded in research, teaching, and mentorship. During this time, Yale and Ashoka faculty, administrators, and alumni have engaged in a wide range of initiatives where Yale has contributed to advising and shaping Ashoka’s curriculum and infrastructure in admissions, development, student affairs and faculty affairs. As part of the framework, an existing Yale-Ashoka faculty committee will work to strengthen this relationship and explore opportunities for visiting faculty, visiting students, and joint research and publications. Yale and Ashoka will also explore innovative opportunities for student experiences in India and develop new models for research and teaching on the liberal arts and sciences within India. 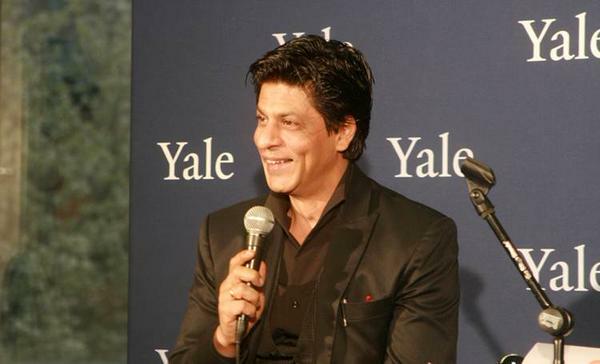 The Yale linkages to Ashoka have been a vital element of Yale’s engagement with India through its Yale India Initiative, the Yale South Asian Studies Council, and other research and teaching activities. Ashoka faculty and students have often welcomed Yale faculty as visiting lecturers and guest speakers, and Yale and Ashoka have collaborated on joint conferences and programmes. Yale administrators have also met with Ashoka leadership during their visits to New Haven to advise on best practices in a range of areas of academic administration. • Kalyanakrishnan Sivaramakrishnan, Dinakar Singh Professor of India & South Asia Studies and Professor of Anthropology and Forestry & Environmental Studies, is a member of Ashoka University’s Academic Council and is an active lecturer and faculty mentor. • Geetanjali Singh Chanda, senior lecturer in the Women's, Gender and Sexuality Studies Program at Yale, has regularly taught in the Young India Fellowship as a visiting faculty member; Nayan Chanda, Editor Emeritus of YaleGlobal Online, will join Ashoka’s faculty to develop a new programme in media studies. • Yale faculty in anthropology, economics, history, history of art, political science and other fields have lectured or are planning to lecture at Ashoka during their visits to India. • Yale Professor Steven Wilkinson’s book Army and Nation: The Military and Indian Democracy since Independence was published by Ranikhet Permanent Black in association with the Ashoka University Press as part of the Ashoka University Indian History Series. • Ashoka’s Center for Political Data is advised by senior faculty and scholars from around the world including those at Yale. • Yale Ph.D. graduates are members of the Ashoka faculty. • Alumni of Ashoka University’s Young India Fellowship are now regularly being admitted to and matriculating in the degree programmes of Yale’s graduate and professional schools. • Ashoka Study Abroad has established the Ashoka@Yale Summer Programme for its students with Yale Summer Session for Ashoka students who want to study in New Haven. • Ashoka and Yale were among the collaborators on two international conferences in 2013 and 2015, in Bangalore and in New Delhi, on the future of liberal arts education in India. Looking ahead, Yale and Ashoka faculty are in discussion on visiting appointments for Yale faculty; hosting Yale Summer Session course at Ashoka; hosting Yale courses and study trips at Ashoka; staging conferences and workshops such as the Yale Modern South Asia Workshop at Ashoka; and supporting the recruitment of Ashoka faculty from Yale’s Ph.D. students.